I’ve been kicking myself since mid afternoon Sunday. You ask why? Because I switched from my long lens camera to my shorter lens camera a fraction of a second late and missed the shot of Packers running back Aaron Jones in full leap, scoring the winning OT touchdown. I was in the right spot, but I stayed with my long lens for too long – literally a fraction of second too long. I still got some shots of the run and some nice celebration photos, but I missed that key frame. If you shoot sports long enough, you’re going to miss a shot or two. Within minutes of that play,my phone blew up with people texting me to say they saw me on TV and couldn’t wait to see that shot. How do I break it to them that I screwed up? Luckily, another photographer from my team was in the corner of the end zone and got the shot. In the past couple of days, I’ve talked with other sports photographers and chatted about that fraction of a second; they feel my pain. I guess I should be happy that it wasn’t in a higher profile game. Another key play in the game was Packers defensive end Dean Lowry’s fumble recovery for a touchdown. I was all over that play, from him scooping up the fumble to him being swarmed by his teammates in the end zone. I’m not a small guy at 6 foot 2, but I felt like a midget as Lowry and his other giant teammates celebrated literally around me. My editor who was filing pictures from earlier in the game, saw the play happen on TV and got a little worried for me as he saw the 6’6, 300 pound lineman heading right for me. All in all I think I had a nice game, but my backside will be sore for a few weeks from me kicking myself for being late on that camera switch. 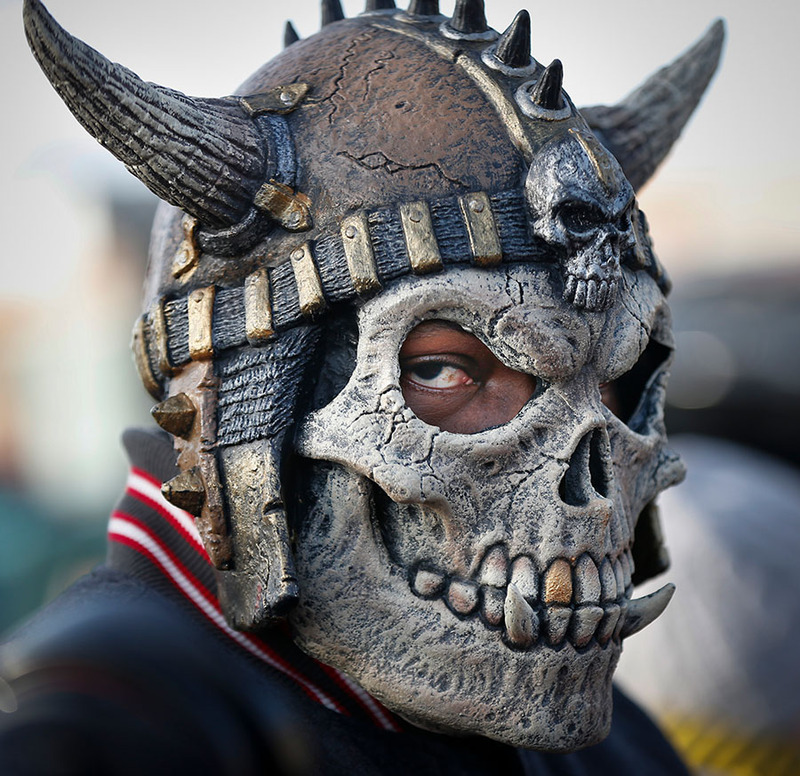 Tampa Bay Buccaneers fan Jerome Davis. 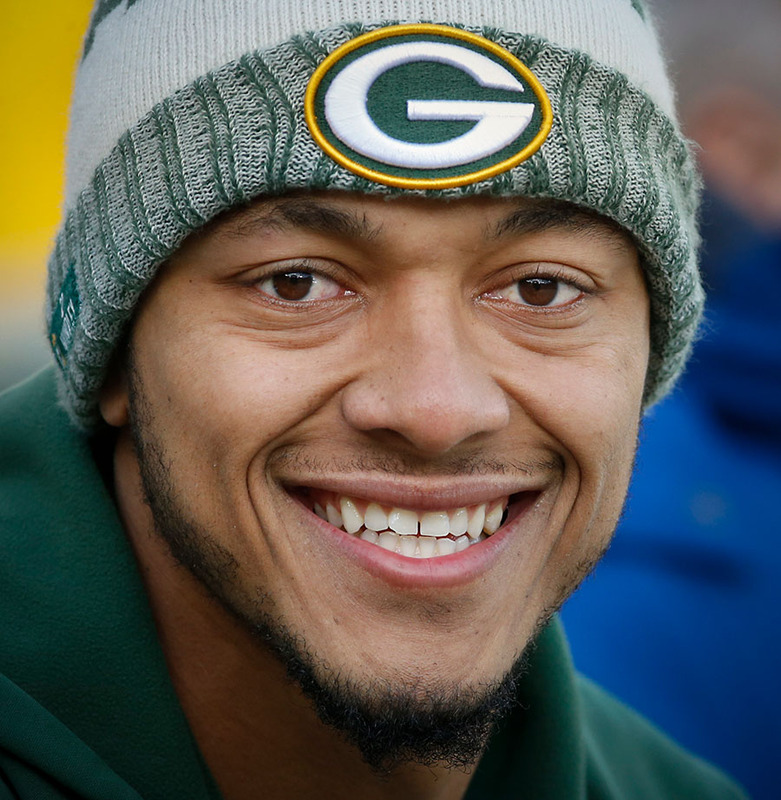 Green Bay Packers quarterback Brett Hundley. Tampa Bay Buccaneers tight end Cameron Brate scores a touchdown as Green Bay Packers free safety Jermaine Whitehead tries to defend. 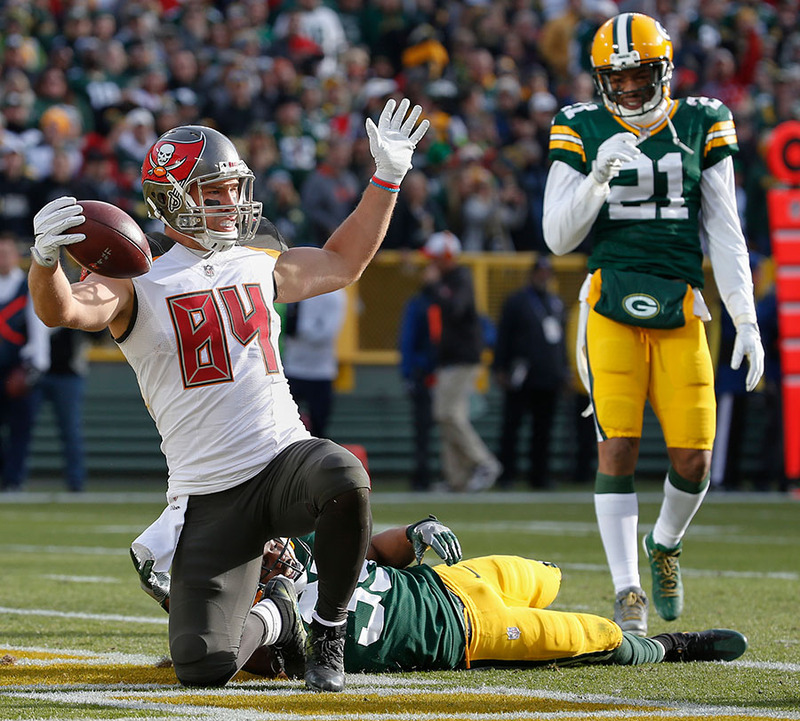 Tampa Bay Buccaneers tight end Cameron Brate celebrates his touchdown. 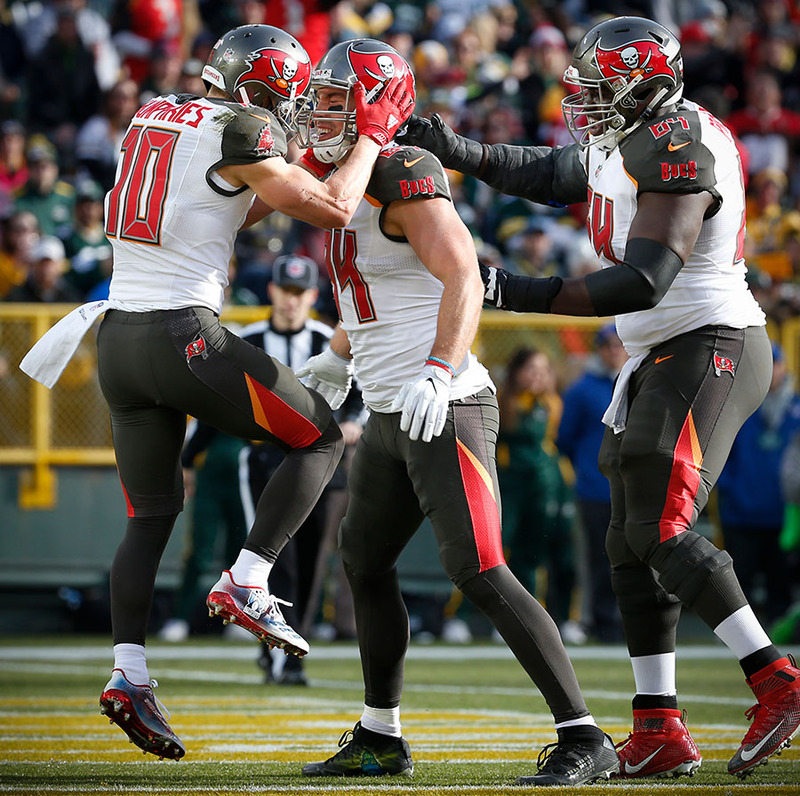 Tampa Bay Buccaneers tight end Cameron Brate celebrates his touchdown with teammates. 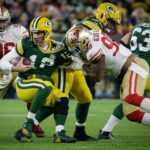 Green Bay Packers quarterback Brett Hundley rolls out of the pocket. Tampa Bay Buccaneers middle linebacker Kwon Alexander and cornerback Ryan Smith tackle Green Bay Packers tight end Lance Kendricks. Green Bay Packers running back Jamaal Williams tries to elude Tampa Bay Buccaneers cornerback Ryan Smith. Green Bay Packers running back Jamaal Williams pushes to the end zone to score a touchdown. Green Bay Packers defensive end Dean Lowry scoops up a fumble from Tampa Bay Buccaneers quarterback Jameis Winston before return it for a touchdown. 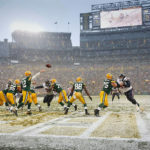 Green Bay Packers defensive end Dean Lowry takes off on his 62 yard touchdown run. Green Bay Packers defensive end Dean Lowry is all smiles as he scores on a 62 yard fumble recovery. Green Bay Packers defensive end Dean Lowry celebrates his touchdown with teammates. 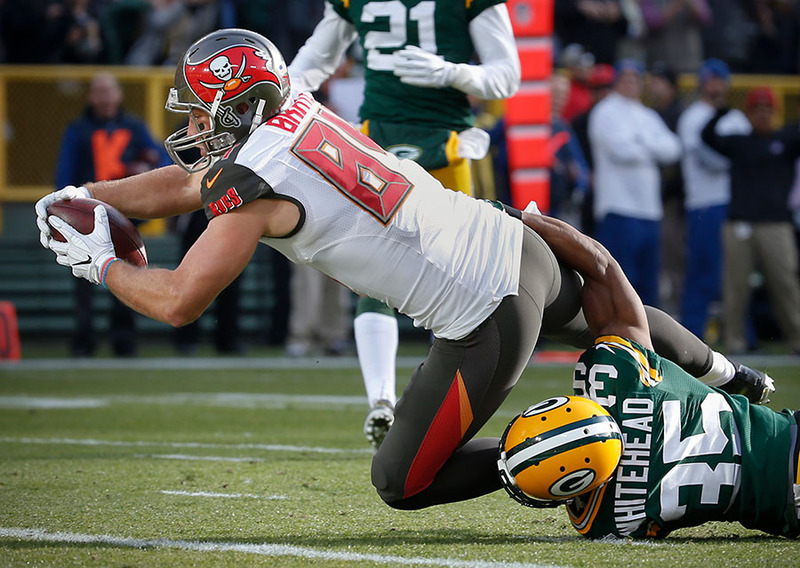 Green Bay Packers defensive end Dean Lowry tires to block a Tampa Bay Buccaneers quarterback Jameis Winston pass. Green Bay Packers wide receiver Jordy Nelson gets taken down. Tampa Bay Buccaneers quarterback Jameis Winston feels the Packers defensive pressure. Tampa Bay Buccaneers running back Peyton Barber tries to get away from the Packers defense. Tampa Bay Buccaneers running back Jacquizz Rodgers. Green Bay Packers running back Jamaal Williams gets taken down by Tampa Bay Buccaneers middle linebacker Kwon Alexander and cornerback Brent Grimes. Green Bay Packers running back Aaron Jones dives in to the end zone to score the game winning touchdown in overtime. 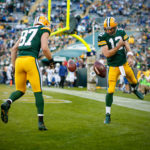 Green Bay Packers running back Aaron Jones celebrates his game winning touchdown with tight end Richard Rodgers and wide receiver Jordy Nelson. Green Bay Packers running back Aaron Jones gets swarmed by his teammates as they celebrate his game winning touchdown in overtime. 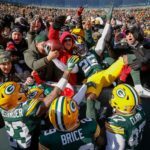 Green Bay Packers running back Aaron Jones does a Lambeau Leap to celebrate his game winning overtime touchdown run. 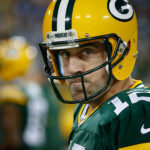 Green Bay Packers quarterback Brett Hundley runs off the field in celebration after the Packers defeated the Tampa Bay Buccaneers in overtime.